My daughter recently celebrated her birthday and received a gift package of Hello Kitty items, which included lip gloss, fingernail polish, and a sleeping mask. 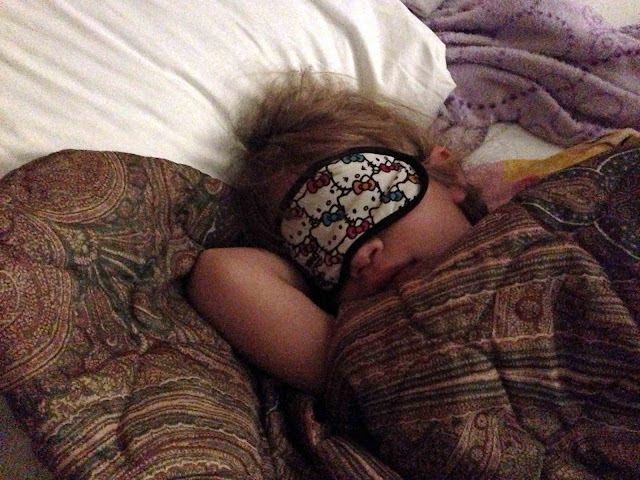 A girl just can't sleep without her purple blankie and her SLEEPING MASK. Way cute! I don't know how she does it. My kids won't keep blankets or clothes on while they sleep.